Recently, Cao Bang has appeared on the tourist map of Vietnam because of its hidden charm and natural scenery. But enough with a feast for the eyes, let’s get to the real feast. Located in the far north of Vietnam, Cao Bang is not known for their many facilities like spas, restaurants, or hotels. 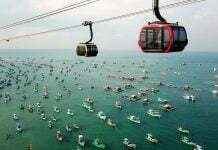 Therefore, it can be difficult for travelers to find good restaurants for dinner. Don’t worry, I have listed below the most popular restaurants in this town that will offer a great meal with friends and family. La Co Xanh Restaurant specializes in specialties of the forest and the sea. With a spacious dining room, it is an ideal place to hold banquets, conferences, parties, birthday parties, and family gatherings. At La Coc Xanh Restaurant, attractive dishes are made with the freshest of ingredients. And although even the ingredients are impressive, the quality can be attributed to the professional chefs. Thanks to that, the dishes are processed skillfully and subtly to satisfy the customers. Visit La Co Xanh restaurant, and you will be served in a large space, with an exquisite cuisine style, and considerate service. In general, the price is quite cheap compared to other places, but because the restaurant is always crowded, you have to wait for a while to be served. Remember to book a table in advance if you go with a big group. Are you questioning the fact that I am recommending a pizza restaurant in Vietnam? Trust me, give this place a try. Located in Cao Bang city, which is quite small, Pedro’s Pizza Restaurant has won the hearts of many travelers. The pizzas have a delicious thin crust, mouth-watering toppings, and good salad. If you think you have had enough Vietnamese as well as Asian food during your trip, Pedro’s Pizza Restaurant will serve you European standard pizzas, it’s considered one of the best pizza restaurants in Vietnam. 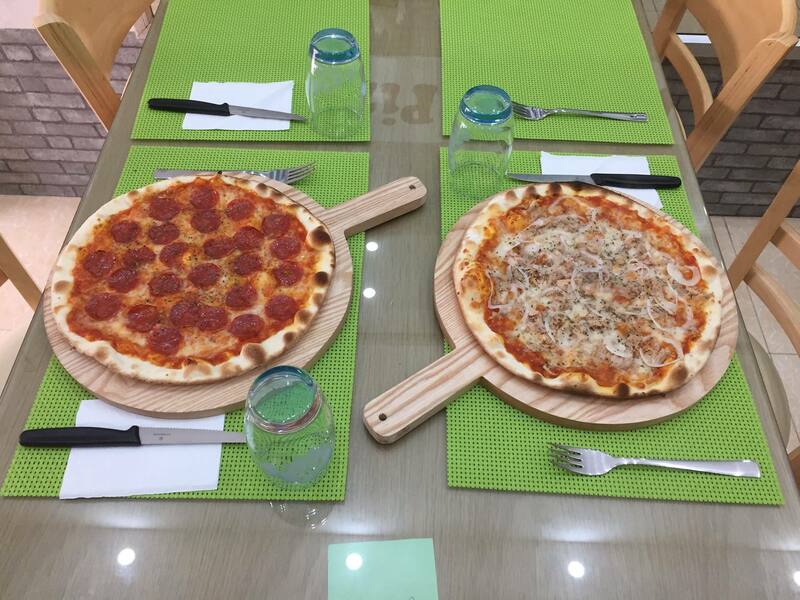 For many visitors, they were very surprised to find such a good pizza restaurant in the highlands of northern Vietnam like Cao Bang. So, eating pizza in this region at Pedro’s Pizza should be considered when you’re thinking of where to eat next. Because Moc Quan Restaurant has a small area, you will definitely feel cozy and warm-hearted as you sit down for a nice meal. The main dishes served by Moc Quan are sticky rice and porridge in a small earthenware pot. You can also complement your food with smoothies and soybean milk that arrive to your table in lovely bottles. The owner of Moc Quan is very friendly and caring. She makes the place as clean and peaceful as possible. The main hall of Moc Quan has two big tables for groups and many small tables for singles or couples. The chefs know how to treat you well and many travelers have left good comments on the tasty food. This is a perfect place for a warm dinner with your friends and family after a day of discovering Cao Bang. This restaurant is an event center, where you can reserve a hall to hold events, ceremonies, and parties, but you can also have a great meal here. Do note that since this is a Vietnamese style event center, it’s setup may feel a little unfamiliar but do not worry. This is a great place to have a meal and witness locals having fun. Also, you will receive professional service with many delicious dishes. 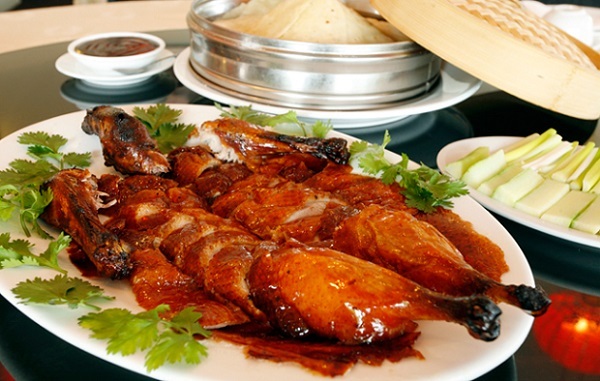 Nga Luong Restaurant offers you a diverse menu with many specialties of Cao Bang such as seven-taste roasted duck, spring rolls, and seafood. Although this is a four-star standard restaurant with professional chefs and passionate waiters, you will find that the price here is very reasonable. Besides the yummy dishes, I recommend trying the cocktail of Nga Luong Restaurant. When you visit Cao Bang, you should not miss the local specialty pho chua, which means sour rice noodles or sour pho. And yes, you’re right, this dish was innovated from the famous dish of Vietnamese cuisine pho. While the original pho base is beef soup, pho chua is a dry noodle dish with a unique sour paste from the vinegar and lemon juice. The toppings vary, you can expect beef, pork, shrimp, pig liver, and even tripe. This dish often comes with a small bowl of broth as well. Quyen Restaurant is small and it specializes in pho chua only. 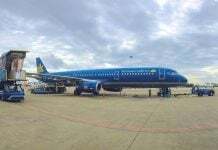 It is preferred by many Cao Bang citizens. With just a bowl of pho chua, I guarantee that you will leave satisfied and happy. Dan Toc Quan Restaurant is designed in the architectural style characteristic of the ethnic minorities in northern Vietnam. When you step inside, you will see a brick wall painted with a large picture of a simple ethnic woman. Tables, chairs, and other items in the restaurant are made of wood and bamboo. Dan Toc Quan Restaurant serves dishes that you can’t find in urban areas such as delicious grilled fish, seven-flavor roasted duck, and com lam (rice in bamboo tube). In addition, Dan Toc Quan also has sweet soup to help you cool your body. The food is presented on a flat bamboo basket. Banh cuon Cao Bang (rolled cake) is made by cleverly wrapping the inside section of minced pork and mushrooms with rice paper. 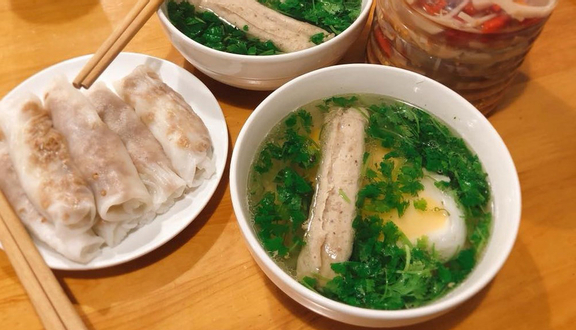 While the usual banh cuon is enjoyed with mixed fish sauce, banh cuon Cao Bang is served with bone broth. 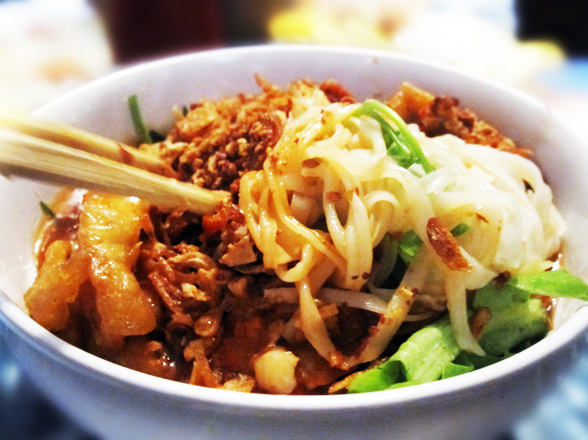 Banh cuon Cao Bang is also different from other types of banh cuon because of the way you eat it. After the cake is prepared, the cook will add a little kernel of minced meat, roll it up and serve with a bowl of bone broth. Then, a combination of onion and coriander completes the dish with a piece of hot pig thigh wrapped in banana leaves. 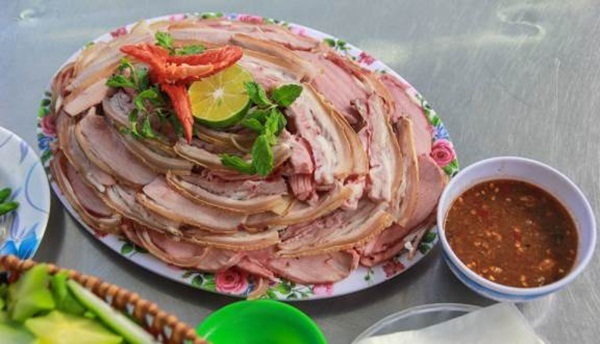 Co Hai restaurant is famous for banh cuon Cao Bang which is popular among both local people and tourists. If you go to Cao Bang and want to create your owne food tour, banh cuon at Co Hai restaurant cannot be ignored. 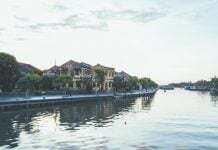 Nga Ba Song Restaurant is located on the bank of the Bang River, which makes for a cool and comfortable dining experience. You definitely must try the famous fish hot pot here. Fish hot pot in Nga Ba Song is made from fresh fish and cooked with a special recipe. If you aren’t a big fan of hot pot, the dishes including fish such as grilled fish, fried fish, and fish salad are also very delicious. If you want a cool evening to enjoy the perfect fish dishes, just go to Nga Ba Song Restaurant. Cao Bang is a highland in northern Vietnam, so it is very cold in the evening, especially in the winter. This is why enjoying a delicious barbecue party with a warm oven makes for a great dinner experience. 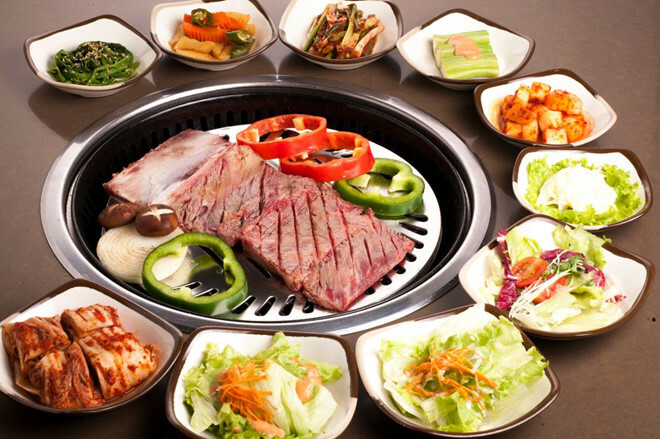 Than Hoa BBQ Restaurant with smoke-free grilled dishes will definitely meet your needs. With a dedicated and thoughtful staff, which is important in a BBQ restaurant, this is a warm space that you must bring friends and family along to enjoy a great dinner. Eaters come to Than Chau BBQ because of their marinated recipes and I’m sure you will like it as well.